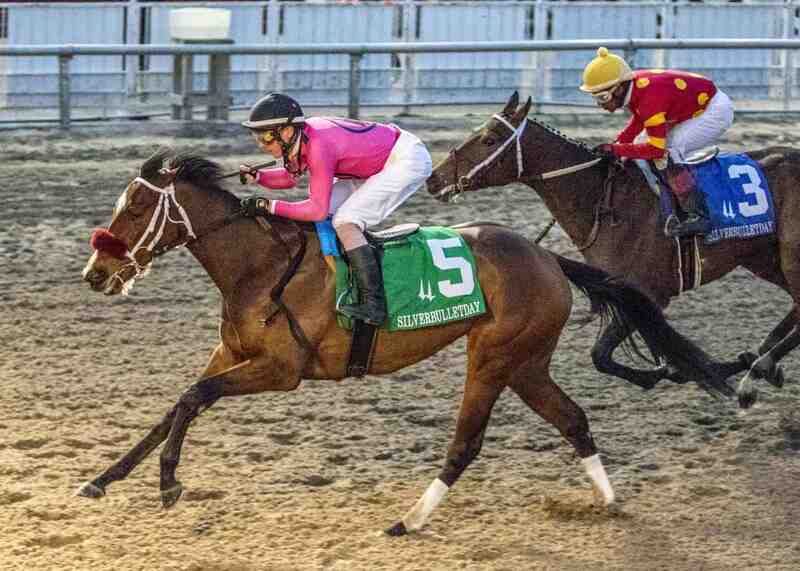 NEW ORLEANS, LA – Trainer Jeremiah O’Dwyer’s Needs Supervision needed none on Saturday when she fought hard in the stretch to give her trainer his first career stakes score in the $150,000 Silverbulletday Stakes at Fair Grounds. Breaking from post 5 at 5/2 odds under Joe Rocco, Jr., Needs Supervision stumbled slightly but soon recovered and raced in third while Fun Finder led from the rail through opening fractions of :24.12 and :49.57. After running second early, Liora was the first to move up and pass the pacesetter, but her lead was short-lived. Needs Supervision came rolling past and soon took over, with Eres Tu close behind. Drawing off late, Needs Supervision crossed with a 3/4-length advantage in a final time of 1:45.34 for the 1 mile and 70 yard event over the fast main track. 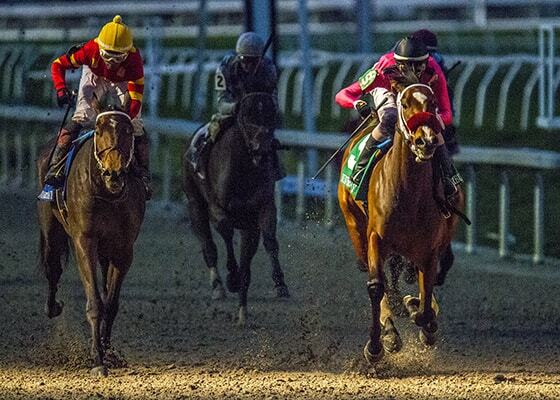 Eres Tu was much the best of the rest, outkicking the 3/2 favorite Grandaria by 5 1/4 lengths for second. The rest of the field was strung out behind, with Liora fading to fourth, Cowgirls Like Us taking fifth, and Mandy Blue and a spent Fun Finder completing the order of finish. The Silverbulletday is part of the Road to the 2019 Kentucky Oaks prep race season. Needs Supervision earned 10 points for the win, with Eres Tu receiving 4 for second, Grandaria 2 for third, and Liora 1 for fourth. Needs Supervision’s win was her second straight following a winning romp over the sloppy Churchill Downs main track on November 24. The 3-year-old daughter of Paynter now sports a record of 4-3-1-0 with $168,030 in earnings for owners Howling Pigeon Farms, Gary Barber, Wachtel Stable, and Madaket Stables. Needs Supervision returned $7 to win, $4 to place, and $2.80 to show. Eres Tu brought back $15.80 to place and $6 to show, while Grandaria paid $2.60 to show.